We are pleased to inform you, that we’ve released demo version of our game :). The demo is no longer available, as the game got better with time. It’s real, it’s damn real! We are on Steam Greenlight right now! 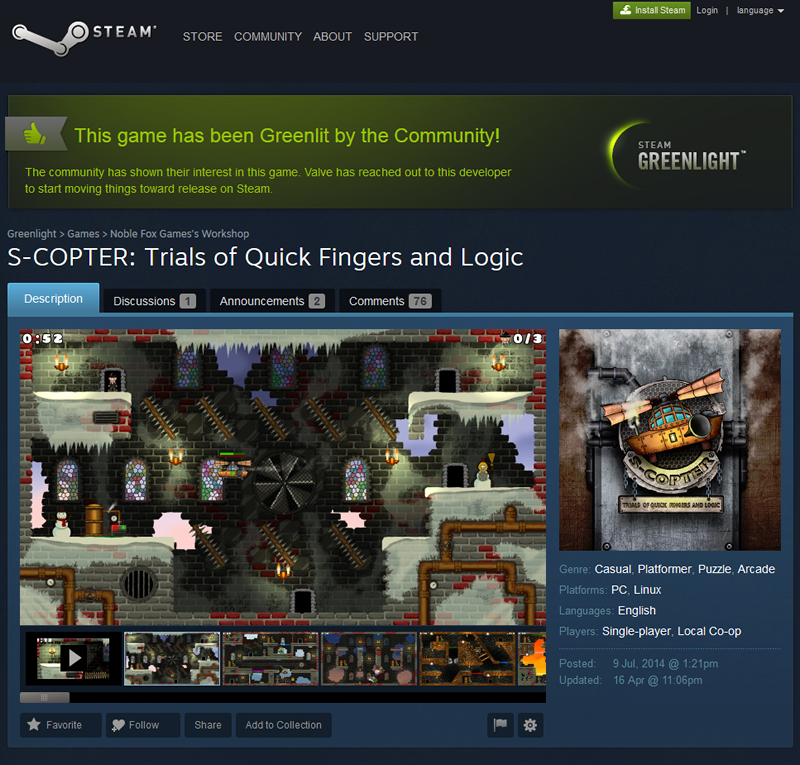 From now on, you can vote on S-COPTER: Trials of Quick Fingers and Logic. We count on you, because every vote matters. We will be grateful for your participation. You don’t know anything about S-COPTER yet? It’s very fun and simple. You fly, transport passengers and die. Well, in fact you die very often. Hey, no one said it will be easy! 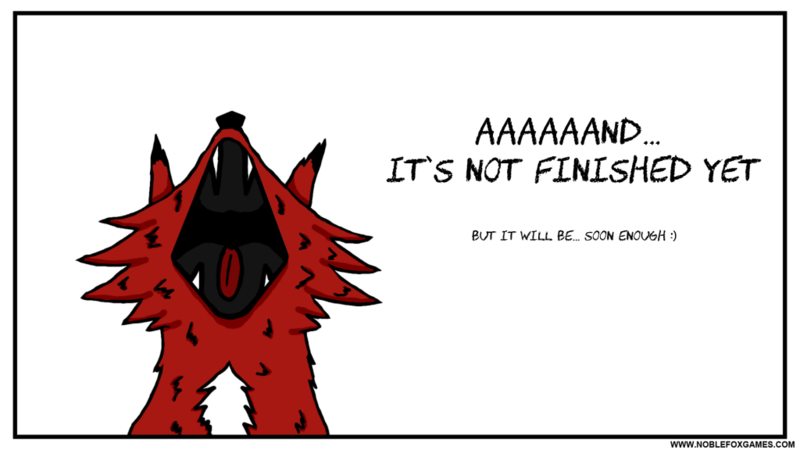 In fact it can be very frustrating… Hooked yet? No? You can always play in coop mode… but I guess it won’t be easier. Hmm, you still die a lot. And in versus mode – the same. So why bother, you ask? Well, it’s fun and when you achieve mastery, it’s even more fun. Just give it a chance! We will see if you have quick fingers, marshal! There are the quick and the dead, the smart and the toasted, the hooked and bored, the… well, you know the type. Few weeks ago we published on our facebook page some photos from The Night of Culture 2014, which was taking place in our home city, Lublin. 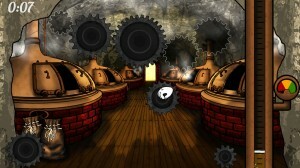 During that memorable night we presented our latest game made especially for this event – “Night shift at the Brewery”. 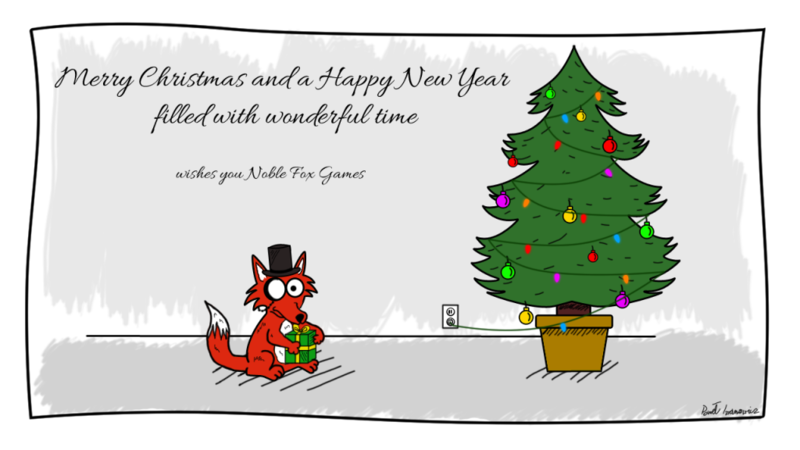 It’s a simple puzzle-matching game for Kinect for Windows (but you can play it with a mouse). We promised, that we will share the full version of a game, so there you have it: Night shift at the Brewery. Under this link you will find all the information necessary for successfully running the game. As for our main production – S-COPTER – we will soon publish very interesting information, so be ready!